Officers wearing uniforms greeted the ferryboat as it docked at Ellis Island. They shouted and motioned to the passengers to walk down the gangplank to the main building. The officers passed out numbered identity tags. The people who did not speak English were often unsure what the officers were saying. The commotion was overwhelming. 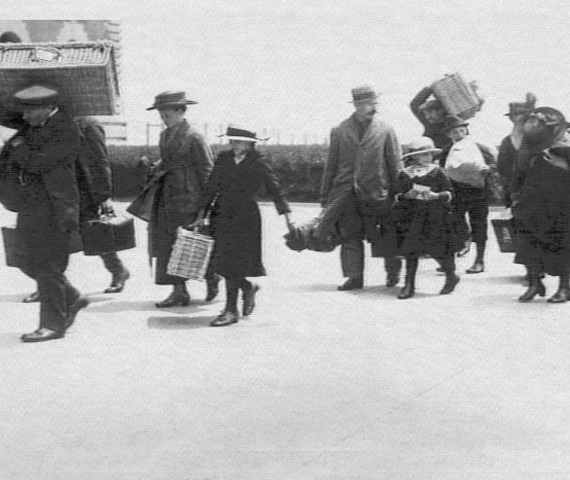 Men, women, and children struggled off the boat carrying trunks, cloth sacks, and suitcases. They followed one another along a path and entered the imposing red brick building. Wearing their numbered tags, the immigrants entered the Baggage Room on the building's ground floor. They left their precious belongings here until their inspection was done. Next, the immigrants went up stairs to the Registry Room. That is where the medical and legal inspections took place. 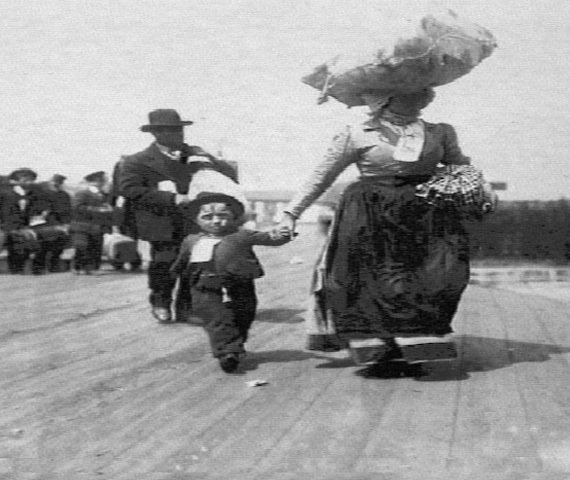 Immigrants carried their possessions all the way from their homeland. 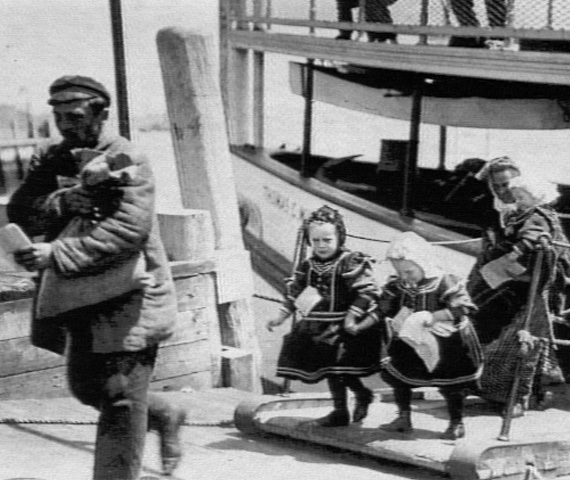 Immigrants arrive at Ellis Island, carrying their belongings. Mothers carried their possessions, as well as their children. 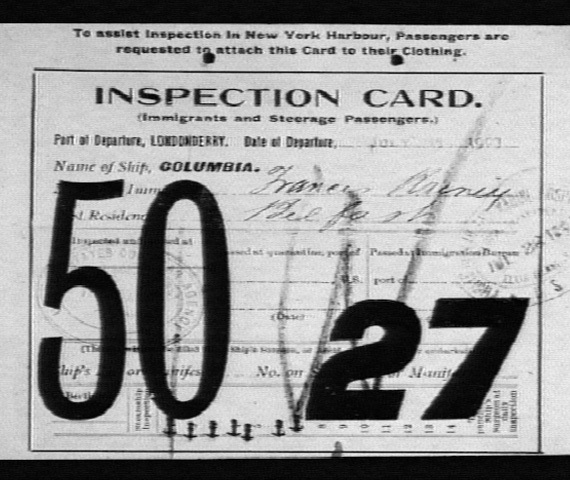 An identity tag; passengers wore them on their clothing. 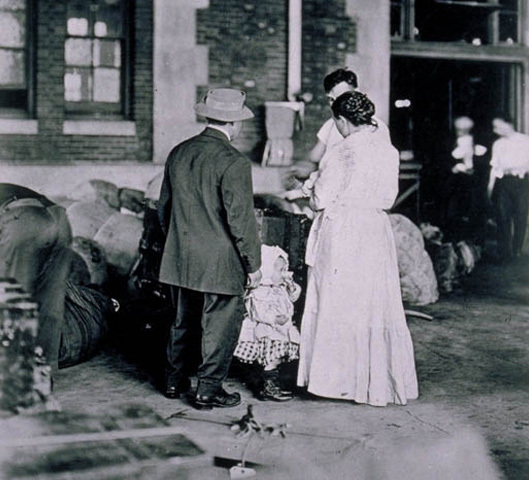 The Baggage Room at Ellis Island. 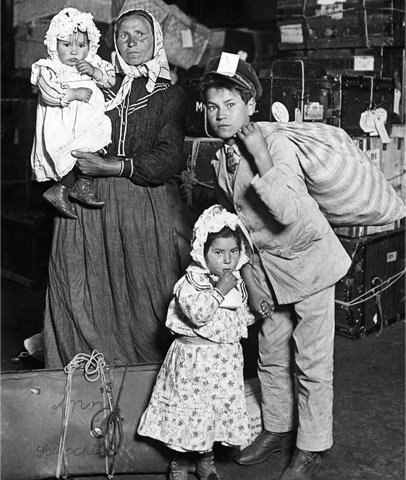 Newly-arrived immigrants on Ellis Island. Manny Steen arrived on Ellis Island in 1925, at age 19. He came from Ireland. He describes arriving in New York Harbor and the crowded, noisy, smelly conditions at Ellis Island. 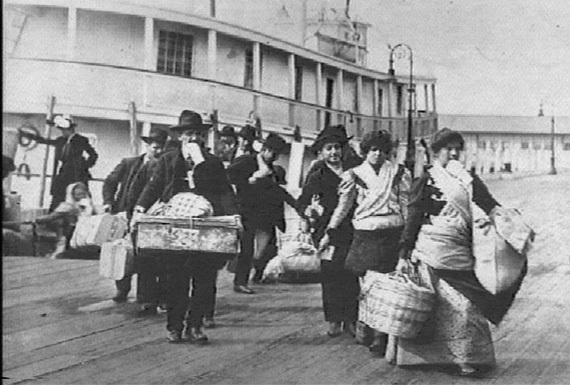 This historical footage shows immigrants coming off ships and carrying their baggage after they arrived in America. Immigrants had to choose what they would bring from home. They could only bring what they could carry. 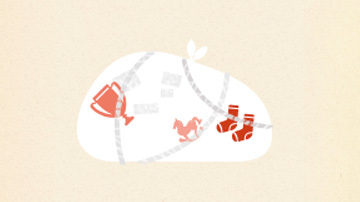 Many people chose to bring both practical things, such as blankets and clothes, as well as sentimental keepsakes and family heirlooms. For third-class passengers, tying all of their smaller bags into a large bundle was a good way to keep track of their things in the baggage room. 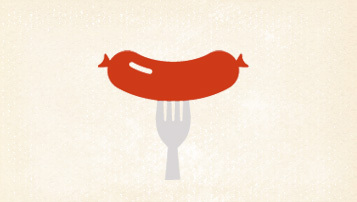 There was a concession stand, which sold sandwiches and drinks, in the Baggage Room. The menu was written in many languages.